With Self generating electronics & Heart Rate Receiver. LED Dot Matrix Display, Watt & Pulse Program. 4 HRC, 1 Manual, 4 Pre-set Programs. Displays : Time, METS, Calorie, Pulse, Distance. Working Size : 2060 x 795 x 1760 mm. Net Weight : 104 Kgs. Display Feedback Watt & Pulse Program.Time, METS, Calorie, Pulse, Distance. Programs 4 HRC, 1 Manual, 4 Pre-set Programs. Drive System V-Belt Transmission System. To Recieve updates and possible rewards for Cosco E-70 please sign in. 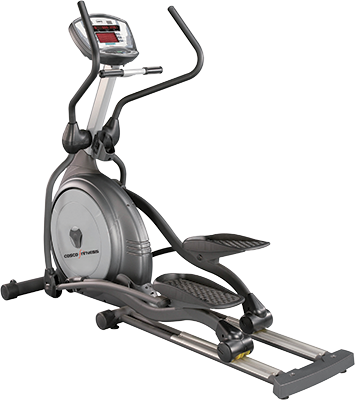 To Recieve updates and possible rewards for Cross Trainer/Elliptical please sign in.